Jillian O'Brien Insurance & Financial Services LLC has been helping Swarthmore drivers find better auto insurance coverage since they first opened their doors. Let our agents make sure your policy includes covered damages and claim limits that make sense for the financial protection of your household. Local motorists who come to Jillian O'Brien Insurance & Financial Services LLC will also know that we've searched for and applied each qualifying policy discount. Some of the possibilities include good student, anti-theft and multi-policy discounts. No amount of defensive driving can prevent every accident, but it is possible to get coverage for a huge range of potential damages. From a list of qualified car repair shops in the Swarthmore area to Nationwide's AutoWatch® program, the On Your Side® Claims Service is ready should you ever need it. In the meantime, consider rewarding yourself for each year of claims-free driving with the Vanishing Deductible program. Jillian O'Brien Insurance & Financial Services LLC can answer questions about coverage limits, policy options or billing schedules. Our expertise and Swarthmore auto insurance options also include customized solutions for individual households and specialty vehicles. Call us at (610) 534-9229. Choose coverage and buy a policy over the phone, or schedule an appointment with our local office. Jillian O'Brien Insurance & Financial Services LLC is located at 225 S Chester Rd. Buying a home is a big step; this decision holds the key to a stable, more financially sound future. Homeowners and their families deserve the right kind of protection, which is why Jillian O'Brien Insurance & Financial Services LLC offers comprehensive home insurance coverage. Protecting this important investment goes a long way towards ensuring that your home is there for you today and tomorrow. Enjoy knowing that you are creating a legacy that will see you through the many years to come. Jillian Obrien is here to help you find the right coverage for your home. Our Swarthmore agency offers personalized Nationwide insurance products that give homeowners the coverage they need. Customizing insurance solutions to your needs is part of what makes our work so valuable. We go the extra mile to make sure that your home receives the coverage it requires. The result is a policy that addresses the distinctive needs of your home, the surrounding property, and even structures like free-standing garages. If you bought your home a while back but are looking to switch to a different policy provider, the Jillian O'Brien Insurance & Financial Services LLC team can help. By evaluating your current needs as a homeowner we can make recommendations regarding improved lines of coverage. This is a great way to get personalized advice that speaks directly to your individual concerns. To speak with Jillian Obrien or any other member of our team, visit our 225 S Chester Rd office or call us at (610) 534-9229. Beyond general liability and asset protection, let Jillian O'Brien Insurance & Financial Services LLC help customize coverage for the industry in which your company operates. Our agents have the expertise and Nationwide product offerings to cover everything from golf courses to medical clinics, from wholesalers and industrial contractors, along with the retail and food service that populate the commercial districts of Swarthmore. And this is just the beginning of the versatile and personalized business insurance solutions available from Nationwide and Jillian O'Brien Insurance & Financial Services LLC. Learn how to protect your employees with worker's compensation and employee benefits. Learn how to protect the business from damages like fraud, theft and forgery. Jillian O'Brien Insurance & Financial Services LLC can also make things a little easier on the company budget and the ownership's precious time. Flexible billing and payment options allow us to further match the policy to the company's priorities. Give Jillian O'Brien Insurance & Financial Services LLC a call at (610) 534-9229, and let's talk about how we can better manage your company's risk. We can iron out the details on the phone, or we can set up a time to talk in person. Our office is located at 225 S Chester Rd. Nationwide offers small business resources to help you strengthen your business, such as financial calculators and information and articles on marketing and cash flow management. Learn more at the Business Solutions Center. Graduated from The Pennsylvania State University in 2004 with a BS in Crime, Law, and Justice. 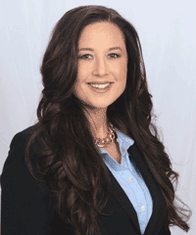 Jillian has been an agent with Nationwide since 2005 and quickly rose to agency owner in only 3 short years! The Jillian O'Brien Insurance & Financial Services LLC in Swarthmore, Pennsylvania provides the following products. To learn more about each insurance product, click on the links below. Insurance is designed to give you the peace of mind you need to enjoy your assets without worry, and auto insurance should be no different. That's why Jillian Obrien works with you to build a personalized insurance plan, so members can be sure they are getting the policy that fits their driving style, vehicle value, and level of activity on the roads of Swarthmore. Knowing whether or not your vehicle would benefit from comprehensive coverage, which takes care of incidents that happen when it is not being driven, means knowing where it fits into your portfolio of assets, what your budget looks like, and how it is likely to affect your resale value Jillian O'Brien Insurance & Financial Services LLC understands this. That's why options are available that include basic liability protection, collision coverage, or multiple tiers of comprehensive protection, so you have what you need. That's also why we offer Nationwide policies, which have a variety of discount options for drivers based on the safety features on their vehicle and their driving records. If you have questions about auto insurance policies for your vehicle, or if you want to make a purchase over the phone, get in touch with Jillian Obrien at (610) 534-9229. You can also make an appointment for a face to face meeting at our offices at 225 S Chester Rd. Figuring out your home insurance needs does not have to be a stressful process. Eliminate confusion and guesswork by turning to our seasoned insurance professionals at Jillian O'Brien Insurance & Financial Services LLC in Swarthmore. We offer a wide array of Nationwide home insurance products that are designed to offer maximum protection. Speak with Jillian Obrien to get an idea of your own unique insurance needs and how they can best be met through a Nationwide policy. Some major concerns people have when looking at home insurance include potential coverage gaps, insufficient insurance, and exclusions. We want you to have the peace of mind that comes with knowing that you are fully covered, so we will work with you to create a policy that meets your needs. Call us at (610) 534-9229 or visit Jillian O'Brien Insurance & Financial Services LLC on 225 S Chester Rd for a detailed consultation on which home insurance is best for you. Our goal is to offer every homeowner the best protection for their unique situation. For this reason, we offer many safety incentives. Find out how you can save on your policy by adding safety features to your home or improving its conditions. These can include upgraded alarm systems, window guards, elimination of potential hazards, and more. Ask our professionals at Jillian O'Brien Insurance & Financial Services LLC about a comprehensive list of ways to save on your home insurance while improving your home. We are committed to helping you enjoy your home, so we take care of the stress and worrying. Let us know how we can help. Bringing home a new baby, like many of life’s happy events, also brings on new responsibilities. New obligations can be more easily shouldered if you take steps now to plan ahead. In order to provide long-term financial security for your family, you need a Swarthmore life insurance agent who can help you understand the types of life insurance that best suit your family’s needs. The agents at Jillian O'Brien Insurance & Financial Services LLC will help you safeguard your family’s future by helping you select the right life insurance. We will explain term versus permanent insurance and answer all your questions. We are here to help you assess your needs and will explain the difference between whole life insurance and universal life insurance. Whether you have a new baby on the way, or you brought your baby home several months ago, now is the time to plan for life’s eventualities. Call (610) 534-9229 and ask for Jillian Obrien or visit us at 225 S Chester Rd,Swarthmore,PA,19081. We will be happy to work with you to make sure your family’s financial security is always protected. As new Swarthmore businesses prepare to take their place in the greater economic world, many new business owners are going to be thinking about insurance. What should a good business insurance policy contain? What lines of coverage are most appropriate for a business serving a particular population or industry? How can you be sure that a policy is going to work hard to serve your interests as a business owner? Getting direct, honest answers from an expert is easy. Just contact Jillian O'Brien Insurance & Financial Services LLC. Our team is here to help business owners select the exceptional Nationwide coverage that is going to give them the strongest start in this new stage of life. Nationwide provides outstanding customer service so you are never alone. Jillian Obrien can tell you more about Nationwide insurance options, and can customize a policy to suit the needs of your organization. Call Jillian O'Brien Insurance & Financial Services LLC today at (610) 534-9229 or visit our office at 225 S Chester Rd. The Jillian O'Brien Insurance & Financial Services LLC also offers products in CT, DE, MD, PA, TX, VA, WV, NJ. Please call for information on products in those states. The O'Brien agency started in 2006, when Jillian was just 26 years old. She has quickly risen to a top agent among Nationwide Agents in her area. She and her staff truly care about their clients and go above and beyond to help them. All of the agents make their cell phone numbers available so that we can help at a moments notice. The O'Brien Agency is committed to providing excellent customer service to the entire region and surrounding states. We also pride ourselves in being a strong member of the local community by supporting several local clubs and charities. We go above and beyond for our clients. We treat them, not like customers, but like friends and family. We always suggest what we think is best for you and your family. Nothing more nothing less!